[Note: This story was originally published at Mongabay]. The article underscores the essential role that protected areas must play in any successful strategy to conserve biodiversity, protect intact ecosystems that provide essential services, and mitigate climate change while providing publicly owned spaces that can adapt to that change. If we are to address the threats posed by activities ranging from logging and mining to agriculture and urbanization effectively, we must draw on the knowledge of Indigenous Peoples and safeguard their rights. What we increasingly understand is that if we are to address the threats posed by activities ranging from logging and mining to agriculture and urbanization effectively, we must seek out local solutions where possible. That means drawing on the knowledge of Indigenous Peoples and safeguarding their rights. Arguably the most fundamental finding of the Science article is the insufficiency of parks and protected areas alone to conserve critical biodiversity and ecosystem functions. The authors of the article — who include one of the authors of this commentary, James Watson — and many others note that increases in human pressures within protected areas are most evident in landscapes that were intact at the time the protected area was designated. These changes reflect the limitations of protected areas because, no matter how well managed they may be, they cannot fulfill their mission if land uses in surrounding areas are antithetical to the conservation objectives the protected areas seek to achieve. 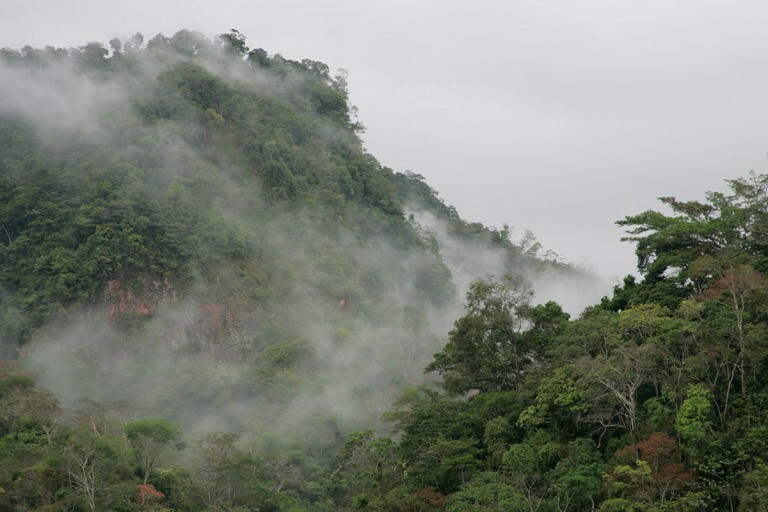 Protected areas cannot be treated as isolated from the development taking place in neighboring jurisdictions and the larger political jurisdictions that surround them — or worse, treated as obstacles to development and greater prosperity, to be undermined and subverted at every opportunity. Rather, they need to be incorporated as assets into the land-use planning of the larger regions. In case after case, the world’s remaining strongholds of biodiversity remain intact thanks to the stewardship of the people living there. Conservation organizations have long recognized that our efforts need to extend beyond government protected areas if they are to succeed. The experience of conservation in the past few decades tells us that working in partnership with local people to conserve the integrity of natural ecosystems can contribute significantly to biodiversity and the quality of human life. 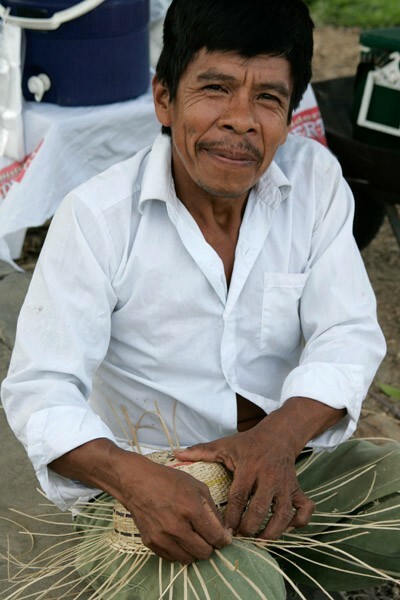 A Tacana man works on a basket made from fibers that are harvested sustainably under the territorial management plan produced by the representative organization of the Tacana people, CIPTA. Photo Credit: Eleanor Briggs/WCS. Despite significant success, protected areas — and the species that live in them — continue to face pressure from expanding farming and ranching activities, the growth of industrial infrastructure, and climate change. Changing this situation requires that we look beyond protected area boundaries to inform the decision-making of government agencies responsible for allocating land, water, and other resources in the surrounding landscapes. Such planning must take place at all levels of decision-making. To succeed, we must build partnerships with people in the surrounding landscapes and seascapes. In particular, there are opportunities to become reliable partners of indigenous and traditional peoples whose quality of life depends on conserving nature for their livelihoods and cultural identity. In case after case, the world’s remaining strongholds of biodiversity remain intact thanks to the stewardship of the people living there. That is why conservation organizations have supported Indigenous Peoples and local communities as they negotiate with governments to win recognition of resource rights. That is why we engage with them as long-term partners as they seek to achieve the security and prosperity for which they have long struggled. These solutions — often the most cost-effective — can play a critical role in helping protected areas become more resilient to human encroachment on our increasingly crowded planet. Michael Painter is a senior technical advisor at WCS (Wildlife Conservation Society). David Wilkie is Executive Director of Conservation Measures and Communities at WCS. James Watson is a professor of conservation science at the University of Queensland and Director of the Science and Research Initiative at WCS. Originally published at news.mongabay.com on July 25, 2018.